Stickningskiosken: Kutova Kika etsy shop now open! Kutova Kika etsy shop now open! My webshop is now open! Lots of super yummy knitted hats in delicious color combinations. The Lupuna hat with bunnies on a flowery meadow. All the hats are knitted with alpaca yarn. and have a cute pompom. 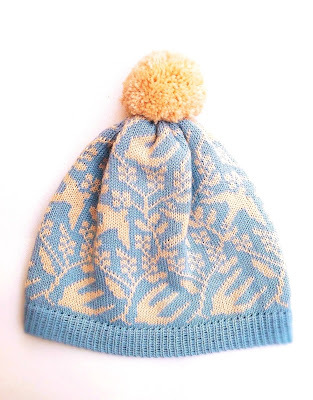 The Lintunen hat has a motif of swallows flying around in a berry forest. Here in minty green and pale rose, perfect colors for Spring! Lintunen hat in black & off white with a coral colored pompom. 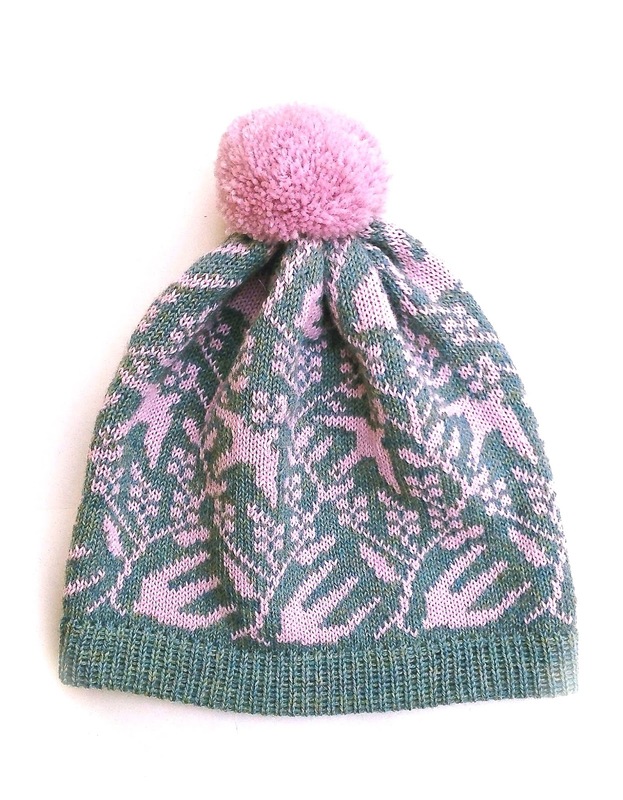 Here the Lintunen hat in more subdued colors, lavender and pale blue. Lintunen hat in baby blue and mellow yellow. The Lupuna hat in strawberry red and dreamy grey. 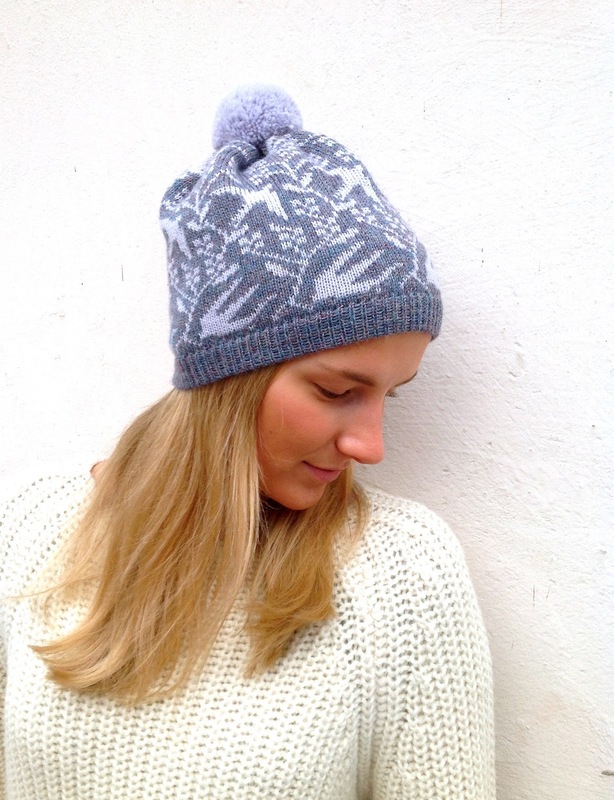 The Lumikello hat has a more classic pattern but with a modern twist and fuzzy pompom. Huisin hienoja pipoja! Oletko aivan käsin neulonut vai koneella?